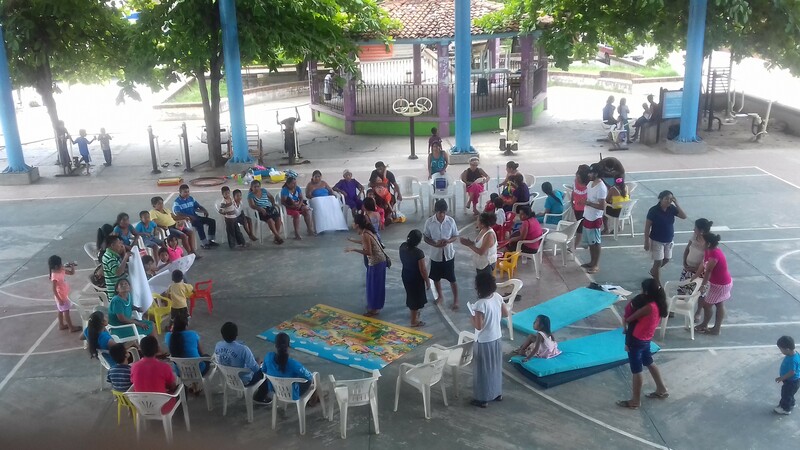 Activities in communities – Piña Palmera A.C.
To initiate the CBI strategy in a community, the need must be presented by a relative, a teacher, a student, authority, etc. The monitoring team visits the community to observe and recognize the conditions. The monitoring team makes a visit to the community to recognize the conditions in which the PCD are, existing services (doctors, school children, etc. ), communication, transportation, local culture, local economy, work sources, etc. Meetings are held where the conditions of the community and the interest of the local authority and families are assessed in terms of strategy. Sensitivity and awareness-raising workshops are held with local authorities, medical and educational staff, community representatives, etc. In these workshops the participants experience, through simulation, different disabilities, later they reflect on the experience, this with the aim of initiating a change of attitude. The monitoring team conducts the training of local promoters and/or persons with disabilities and their relatives periodically and permanently (every 15 days or every month). This training takes place in the community in a public place, simple and chosen by the participants themselves. The families are responsible for managing with the authorities the support for the CBI follow-up team that assists the community (food and gasoline). The most important thing is that the community gets involved in the strategy and assumes it as their own in order to follow up on the activities. 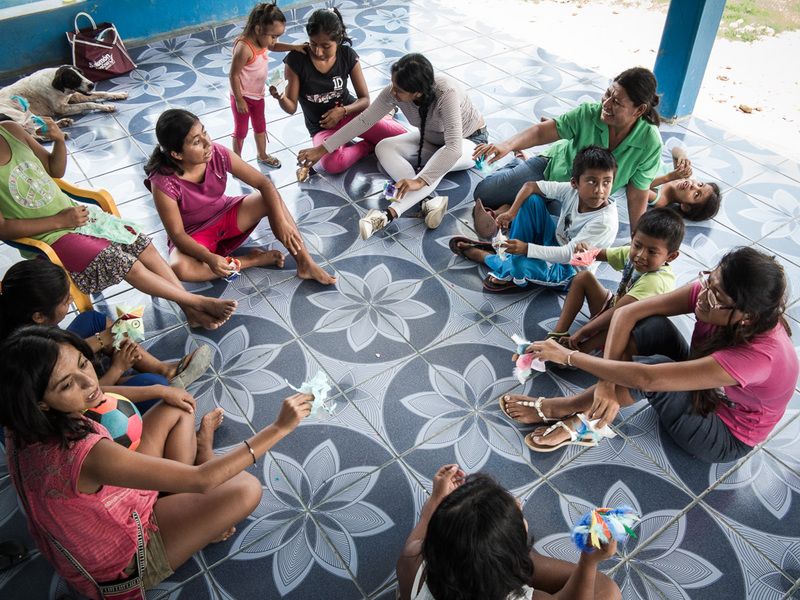 Social activities are carried out with the participants in the communities based on leisure and recreational activities. This activity includes everyone without distinction of age and disability, as well as their families. Local materials and topics related to their own context are used. 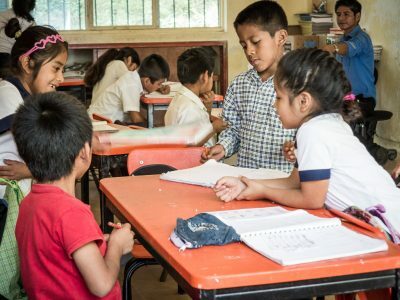 This activity becomes an informal educational space that promotes participation from each person by recognizing differences as a product of coexistence. Along with the process of rehabilitation and inclusion of each PCD, there are empowering groups of mothers, fathers and/or relatives that promote the knowledge of rights, as well as the empowerment of the PCD. This is mainly based on the exchange of experiences of daily life that they learn from one another, support one another, and organize activities that arise during the course of community work. This activity is moderated by a person from the monitoring team, by the same group members, or by a PCD involved in the process. The monitoring team accompanies the families and/or promoters in the progress of the rehabilitation and inclusion process. For this reason, the team makes additional visits and meetings to houses, schools, authorities and other community members. The strategy is self-evaluated in a group manner by the community periodically. Through the development of skills and abilities, as well as the awareness of the community, the participation and inclusion of PWD is present in different areas, such as social life, school, and work. Summer Camp: A summer camp with children and adolescents with and without disabilities is organized once a year at Piña Palmera to promote group interaction, solidarity and the joint performance of sports, recreational, educational and social activities. An average of 50 children and young people from different communities participate. The camp lasts 3 days, and the participants are accompanied by their relatives. Everyone stays in the facilities of Piña Palmera during this period of time. 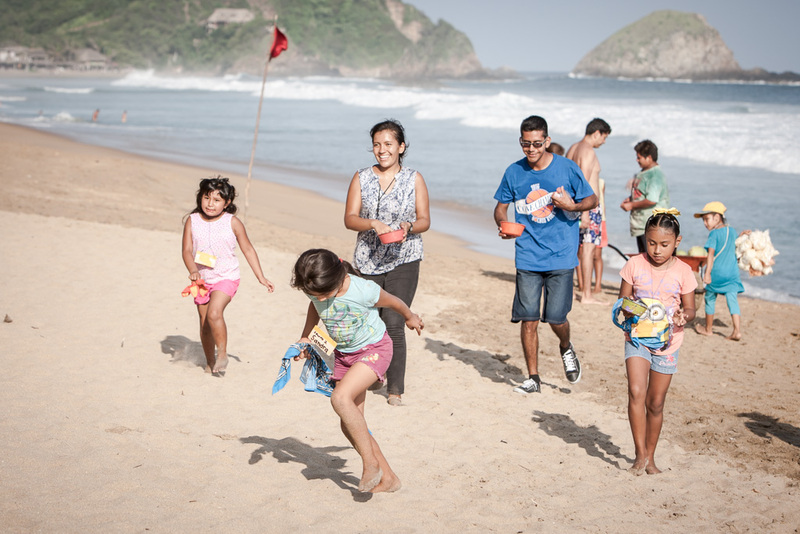 Mini camps: The families of the communities where we participate organize amongst the participants of their own community. They chose to go out to the river, the beach, or anywhere within their own community to socialize. Families coordinate with their agencies or municipalities to manage support when they need it.